Fort George turns 10 years old, Bazi welcomes in spring with saisons and the rest of your beer events for the week of March 9th. Celbrate an early St. Patrick’s Day and the return of Plastic Paddy Dry Irish Cider, on draft and in the traditional 2L flagon. Made with Barry’s Gold Irish Tea, Paddy provides a thirst-quenching tipple with just a hint of tannin. Also: live music from acclaimed Celtic musicians Mrs. Doyle and the Teapots. Fort George Brewery 10th Anniversary Pinot Noir Barrel-Aged Barleywine. Join the crew in Astoria to celebrate ten years of Fort George. 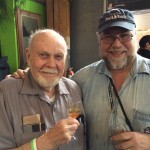 The brewers have bottled a limited 10th Anniversary Pinot Noir Barrel Aged Barleywine the releases at noon in the Lovell Brewery, there will be a special brewery themed cake for the occasion in the downstairs pub at 5 p.m., live music upstairs with legendary singer-songwriter Michael Hurley followed by rock n roll from Tango Alpha Tango and a toast to Astoria’s favorite success story at 9 p.m.
9 a.m.- 2 p.m. Saturday Mar.11, VFW Hall, 7118 S.E. Fern St.; free admission. 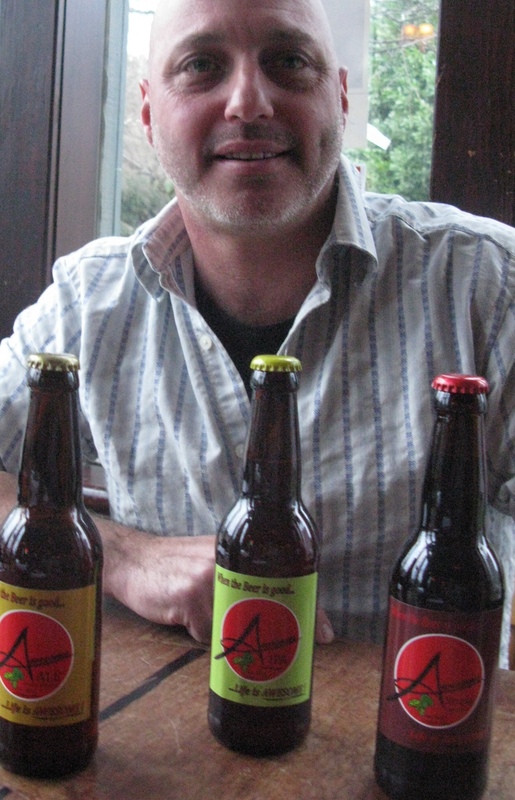 Here’s your introduction to the fascinating world of breweriana – beer collectibles. We concern ourselves with the recent history of beer, but it’s always been the most popular of beverages and there’s a fascinating array of old literature, posters, cans, bottles, glasses, and advertising trinkets avidly sought after by collectors – who, by the way, are as friendly and welcoming a group as you could ever hope to find. The popular Jamaican kitchen will be at Southeast’s favorite IPA Bar for the evening serving jerk chicken, fish cakes and beef or veggie hand pies with sides. 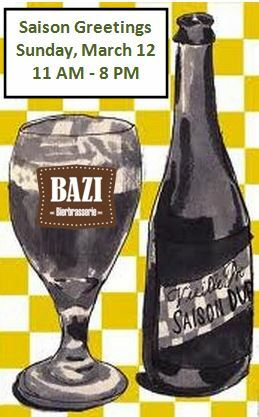 11 a.m..-8 p.m. Sunday March 12, Bazi Bierbrasserie, 1522 S.E. 32nd Ave.; Taster trays available for purchase. Coldfire Rustic Saison (Oregon): 6.7 percent ABV, a traditional Belgian Saison made with a blending of yeasts and delivering flavors of apricot, black pepper, stonefruit, honeydew, light banana/clove, & grains of paradise. Herbal and spicy hints with a nice dry finish. The Commons/Perennial Brewery Meriwether (Oregon/Missouri): 5.5 percent ABV, blend of both brewery house saison yeasts, dry-hopped with German Hallertau hops, finishes dry and minerally. De Garde Petite Desay (Oregon): 5 percent ABV, a tart farmhouse style ale with citrus and lemon flavors. Ninkasi Ginger & Juice Farmhouse Ale (Oregon): 5.5 percent ABV, Crisp and complex, this Saison is crafted in the traditional farmhouse-style with subtle hints of real ginger and apricot. Distinctively fruity and slightly peppery with an energetic effervescence, Ginger & Juice finishes dry and satisfying. Fort George Tempest Saison (Oregon): 8.4 percent ABV, imperial amber French saison with cherries and vanilla. 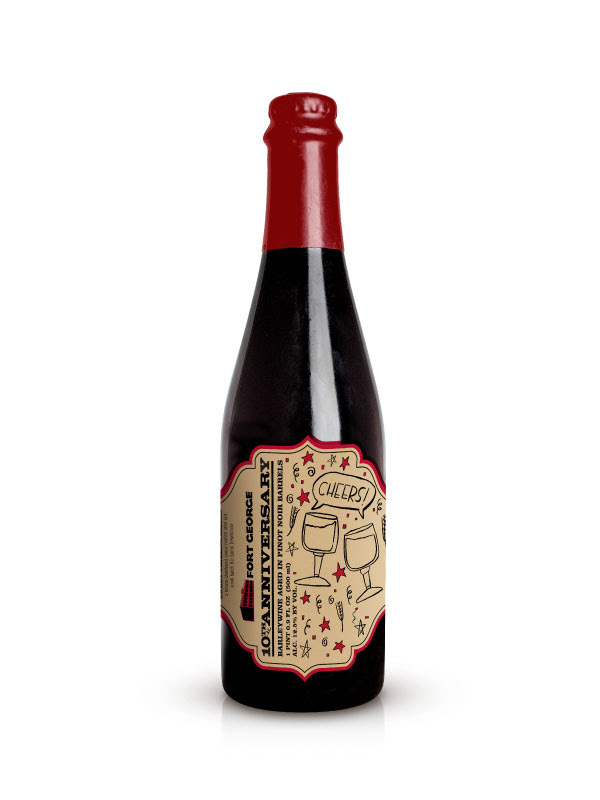 Peppery esters from the French Saison yeast, layers of cherries and vanilla bean, punctuated with a dry finish. Lost Abbey Carnevale (California): 6.5 percent ABV, brewed in celebration of Lent and Easter season, Carnevale is light bodied Saison, using Brettanomyces along with Amarillo and Simcoe hops to generate flavor and depth. Carnevale’s complexity grows with time. Upright Vert (Oregon): 4.75 percent ABV, wheat based brew using sun dried black limes that contribute not only an attractive flavor of citrus but also a depth that when combined with the open fermentation method and saison strains, results in a complex profile. Du Bocq Saison 1858 (Belgium): 6.6 percent ABV, named “World’s Best Saison” World Beer Awards, 2013 and Gold Medal recipient at the World Beer Championship 2014 Gold Medal, 94 Points and Top-Rated Saison, World Beer Championships, May 2014. First time available on draft in the US. Saison Dupont (Belgium): 6.5 percent ABV, straw color, dense creamy head, estery with citrus and spice notes. Saison Dupont Cuvee Dry Hopping (Belgium): 6.5 percent ABV, the special feature of this beer, which is produced in limited quantities, is that the hops used for the “dry hopping” are different every year. This year, three distinctive hop varieties were selected. For the dry hopping, brews were made from the “Brewers Gold” variety, grown in Germany. The result is a coppery, blond beer, dry and refreshing with sustained bitterness. Unibroue A Tout Le Monde (Canada): 4.5 percent ABV, hoppy with tropical fruit and citrus notes, delicately spiced flavors, citrusy and slightly tart with hints of tropical fruit such as mango and lychee. Baird & Deward Farmhouse Cider (Oregon): 7.2 percent ABV, blend of sustainable grown French, English, and American heirloom and cider apples from the Willamette and Hood River Valleys are hand-pressed. Juice is then wild-fermented dry and aged 5 months in French oak barrels. It’s National Beer Day: Have You Had Your Two Beers This Week?? ?